Available in a range of blade widths, colours and stains our superior quality timber and aluminium shutters are sure to impress. 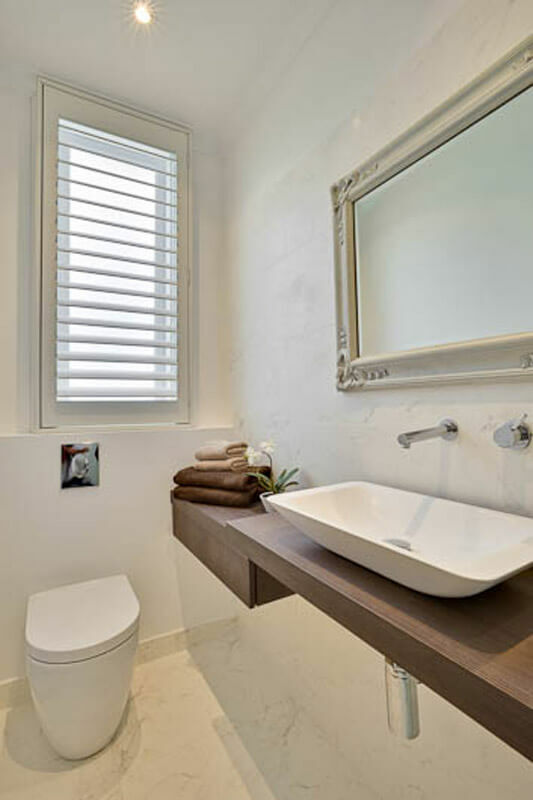 Our shutters can be supplied with clear view control meaning no tilt bars will obscure your view allowing for a clean, simple look to your windows. The versatility of shutters allows you to control light and privacy with ease and provide you with year round insulating comfort. 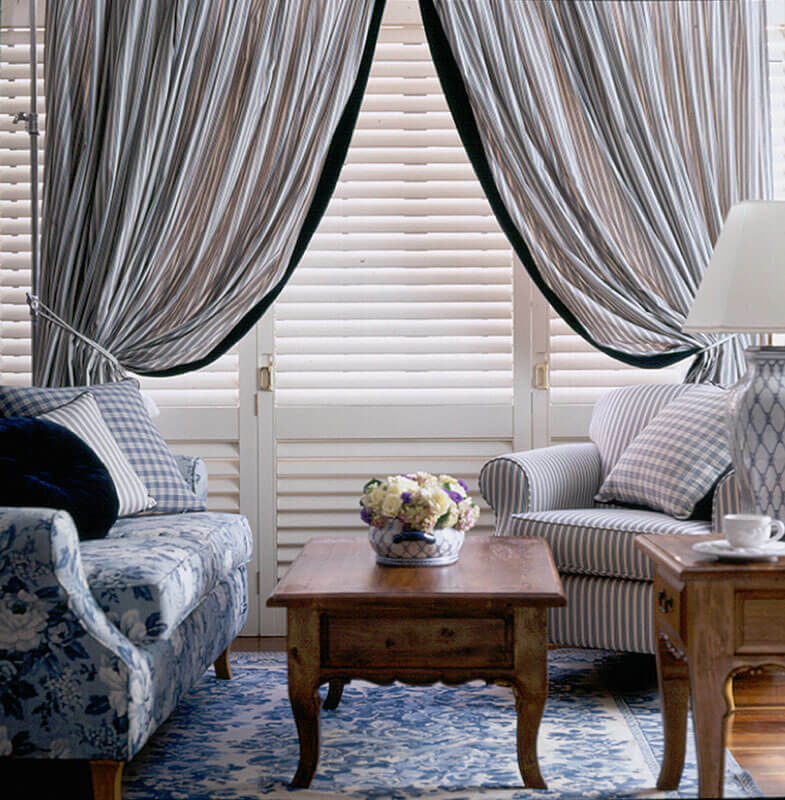 All of our custom interior shutters are manufactured with superior finishes designed to give you a long lasting product that will resist chipping, scratching and fading for years to come. 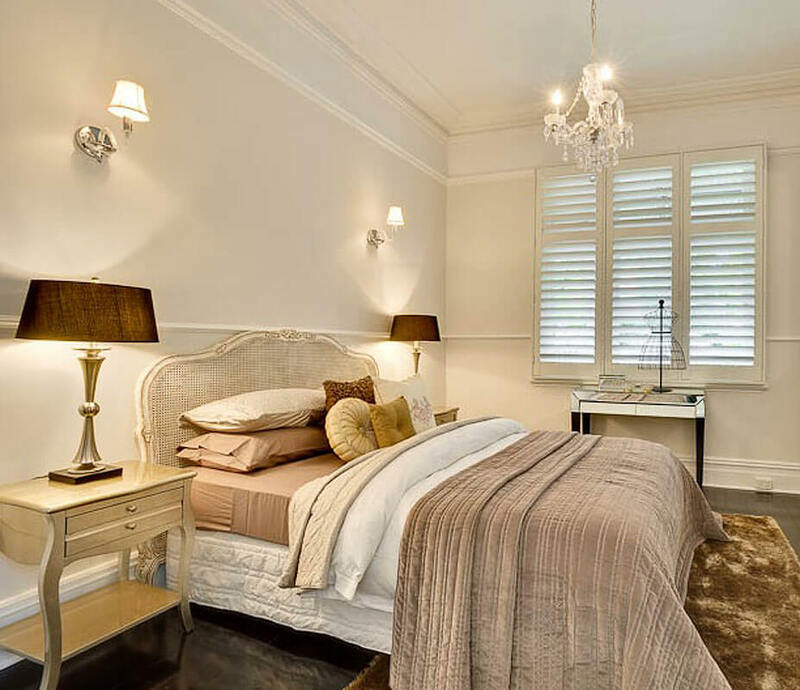 Our plantation shutters, also known as timber shutters, are a very high quality solid hardwood shutter. We never use any veneer based products, ensuring rigidity and longevity of your shutters for many years to come. All of our timber products come from sustainable forestry sources, ensuring as smaller impact on the environment as possible. 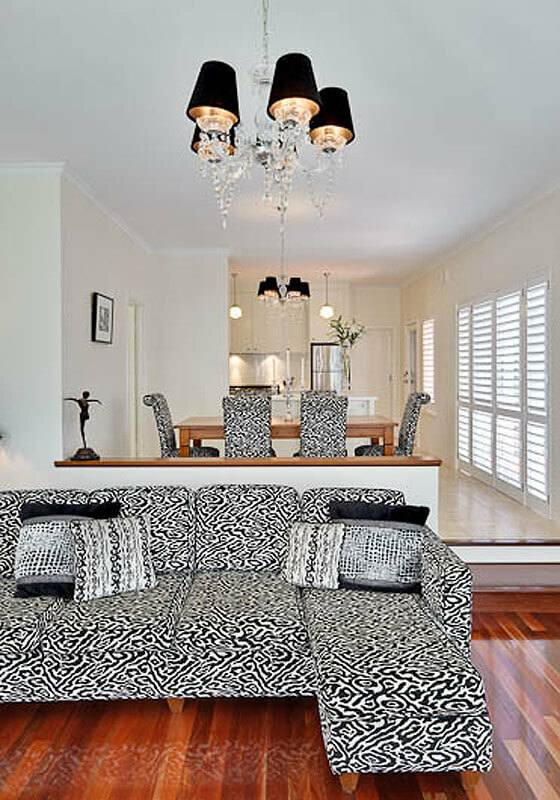 Timber shutters collect less allergens than fabric based window furnishings and are non-permeable, making them easy to clean and keep looking new year-round. For wet areas we have our PVC based shutters, providing a stylish water proof product that will look and feel like a timber shutter. PVC is a cost effective alternative to timber shutters and offer a product less prone to mildew and mould than alternative wet area suitable window furnishings. For a more detailed look at weather resistant exterior window shutters and shading solutions, our outdoor blinds selection has you covered. For the ultimate in style and functionality in your outdoor spaces we offer our aluminium shutters. These are commonly used to enclose outdoor areas and balconies, offering a more cost effective shading and insulating solution when compared to more traditional building enclosures. Our outdoor shutters require very little upkeep. Made from high grade aluminium, with a wall thickness far exceeding that of inferior products. Our outdoor range of shutters also have no visible tilt rod or control mechanisms to interrupt views. Call for a free measure and quote today 1300 668 493.